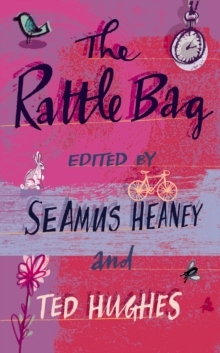 Edited by Seamus Heaney and Ted Hughes, and conceived of as a collection of their own favourite poems, The Rattle Bag has established itself as the classic anthology of our time. Heaney and Hughes have brought together an inspired and diverse selection, ranging from undisputed masterpieces to rare discoveries, as well as drawing upon works in translation and traditional poems from oral cultures. In effect, this anthology has transformed the way we define and appreciate poetry, and it will continue to do so for years to come. Including writers from Shakespeare and Blake to Sylvia Plath and T.
S. Eliot, The Rattle Bag is eclectic, instructive and inspiring at the same time.